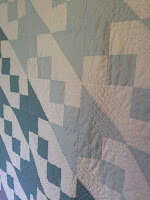 I got two quilts done this weekend, YAY! 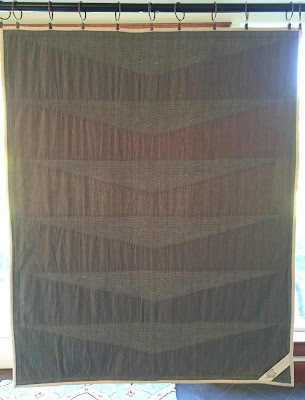 The first to be completed was the Jacob's ladder quilt for a church auction. 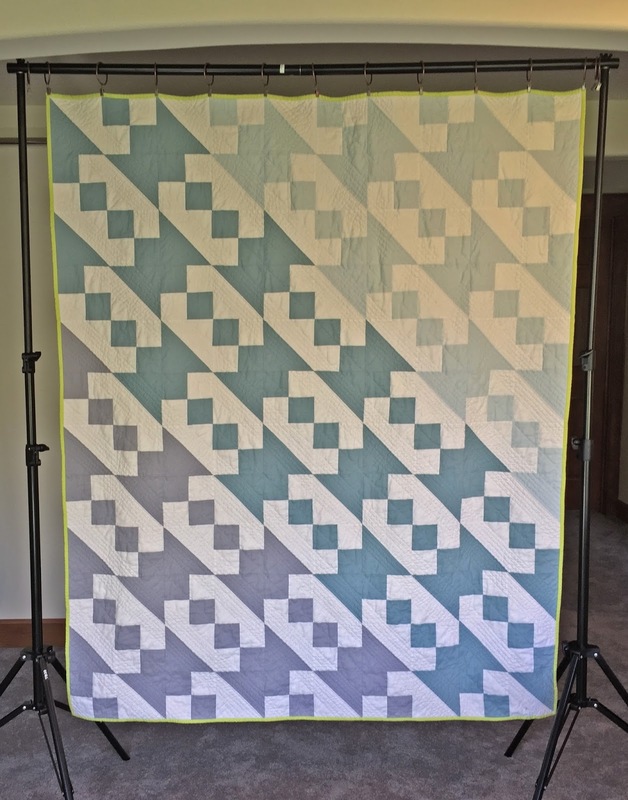 I'm pretty sure I'll do another Jacob's ladder quilt in the future there are so many combinations and great patterns with these two timeless blocks. 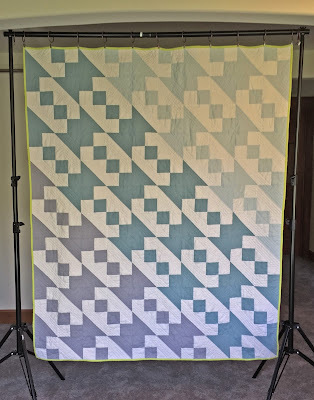 This quilt came together quit quickly and it was enjoyable to piece all those half square triangles and four patches, I've been on a curve piecing binge lately so the straight stitching was GREAT. 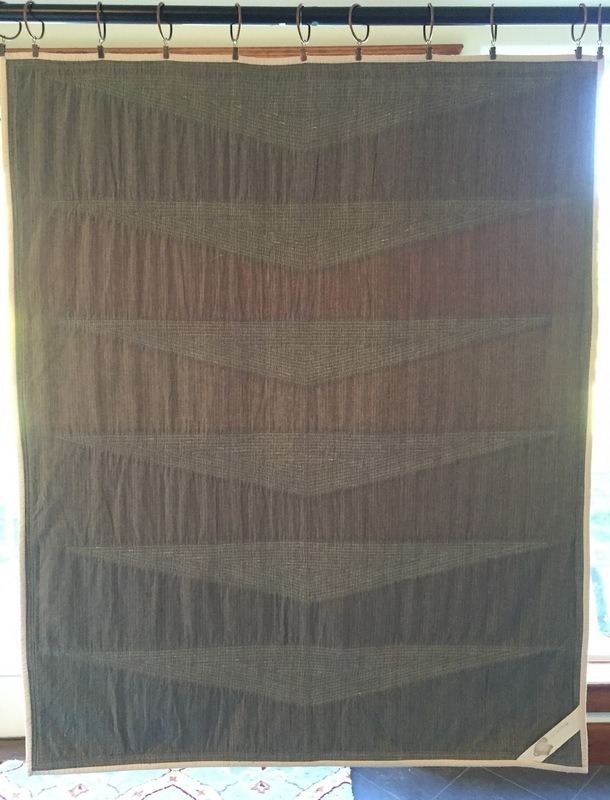 I used a Cotton and Steel print for the backing, yes again. I love the sea of roses and it allowed me to use a complimentary color for the binding, green. 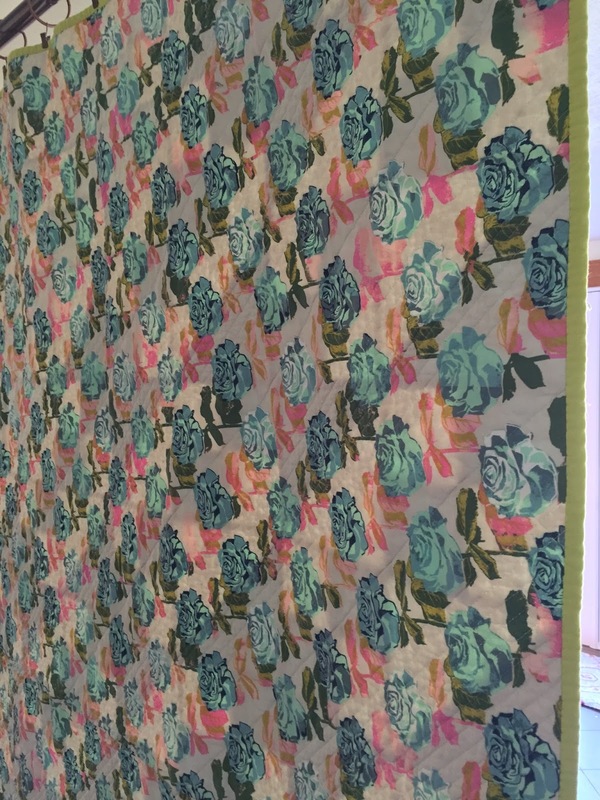 My first choice was the bubble gum pink but then I remembered that this quilt needs to appeal to a larger audience. 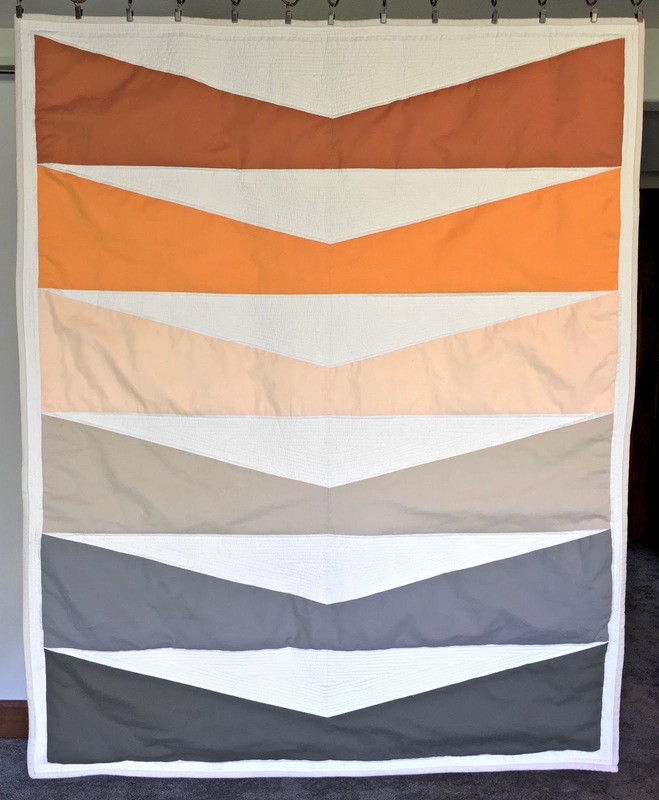 The second project finished was a modern quilt I designed after stumbling across a Finn Juhl piece of furniture. 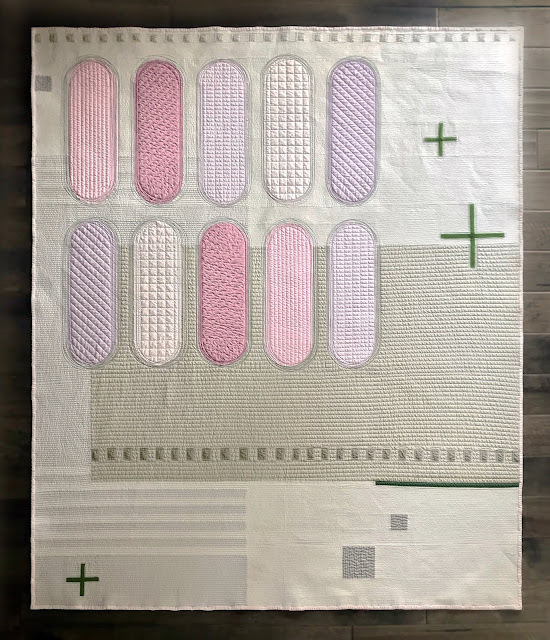 This is the first truly modern quilt I've done in a while. 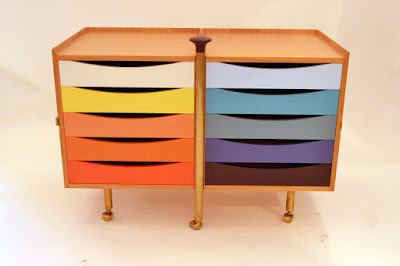 Again, I seem to be very drawn to mid century modern design. 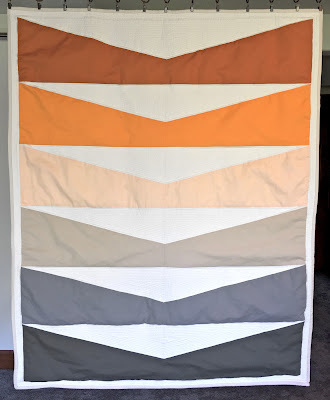 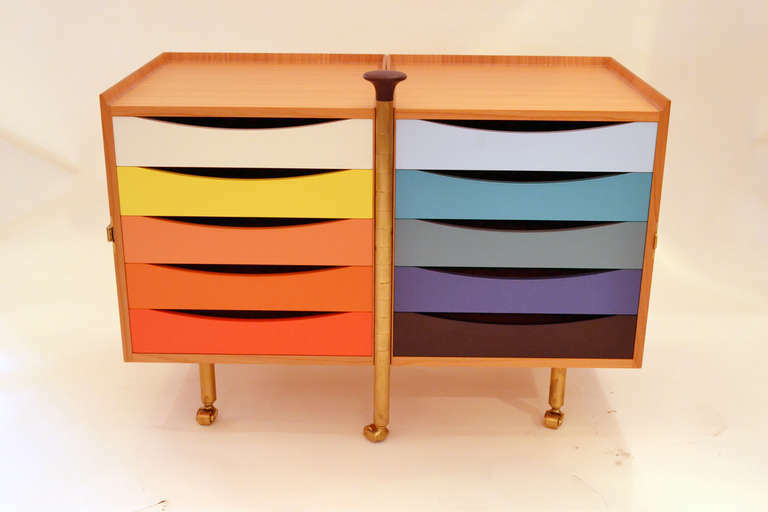 What really caught my eye was the negative space between the drawers and the color gradient, which I think I reflected in my quilt. 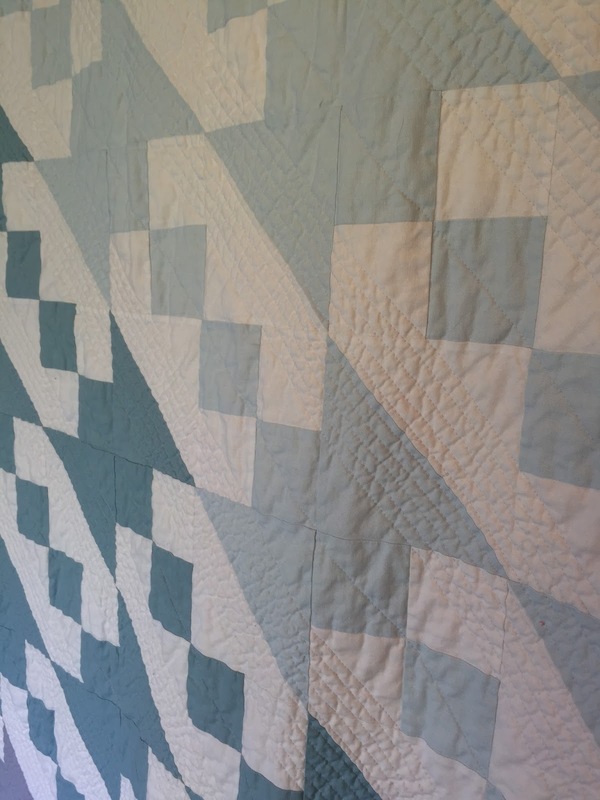 Overall I'm very pleased with both of these very different quilts.